Toyota Certified = 7/100K Warranty! Want a NO HAGGLE & STRESS FREE Shopping experience. Contact our Used Car Internet Managers via the inquiry form or give us a call! 1 Year Maintenance Included! CARFAX One-Owner. Certified. 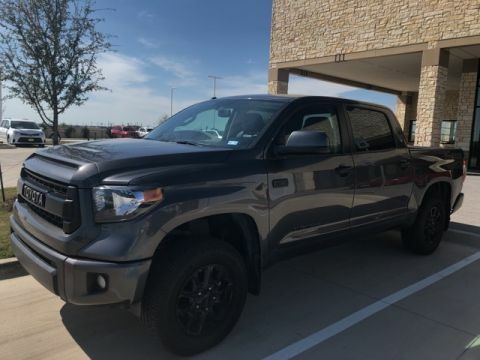 Toyota Combined Details: * Transferable Warranty * Vehicle History * Limited Comprehensive Warranty: 12 Month/12,000 Mile (whichever comes first) from certified purchase date. Roadside Assistance for 1 Year (for Toyota Certified Used Vehicles program), Limited Comprehensive Warranty: 12 Month/12,000 Mile (whichever comes first) from certified purchase date. Battery 8 years/100,000 miles (whichever comes first) from original in-service date. Roadside Assistance for 1 Year (for Toyota Certified Used Hybrids program) * Warranty Deductible: $50 * 160 Point Inspection (for Toyota Certified Used Vehicles program), 174 Point Inspection (for Toyota Certified Used Hybrids program) * Roadside Assistance * Powertrain Limited Warranty: 84 Month/100,000 Mile (whichever comes first) from original in-service date Black Graphite w/Fabric Seat Trim, ABS brakes, Alloy wheels, Electronic Stability Control, Heated door mirrors, Illuminated entry, Low tire pressure warning, Remote keyless entry, Traction control. Toyota Certified = 7/100K Warranty! Want a NO HAGGLE & STRESS FREE Shopping experience. Contact our Used Car Internet Managers via the inquiry form or give us a call! 1 Year Maintenance Included! CARFAX One-Owner. Certified. Toyota Combined Details: * Limited Comprehensive Warranty: 12 Month/12,000 Mile (whichever comes first) from certified purchase date. Roadside Assistance for 1 Year (for Toyota Certified Used Vehicles program), Limited Comprehensive Warranty: 12 Month/12,000 Mile (whichever comes first) from certified purchase date. Battery 8 years/100,000 miles (whichever comes first) from original in-service date. Roadside Assistance for 1 Year (for Toyota Certified Used Hybrids program) * Warranty Deductible: $50 * Powertrain Limited Warranty: 84 Month/100,000 Mile (whichever comes first) from original in-service date * Roadside Assistance * 160 Point Inspection (for Toyota Certified Used Vehicles program), 174 Point Inspection (for Toyota Certified Used Hybrids program) * Transferable Warranty * Vehicle History Redwood w/Leather Seat Trim, 20" x 7.5" Unique Dual 6-Spoke Alloy Wheels, ABS brakes, Body Color Heated Mirrors, Compass, Electronic Stability Control, Front dual zone A/C, Heated door mirrors, Heated front seats, Heated/Ventilated Front Bucket Seats, Illuminated entry, Leather Seat Trim, Low tire pressure warning, Power moonroof, Remote keyless entry, Traction control. Toyota Certified = 7/100K Warranty! Want a NO HAGGLE & STRESS FREE Shopping experience. Contact our Used Car Internet Managers via the inquiry form or give us a call! 1 Year Maintenance Included! We performed a 160-Point Inspection as part of our extensive Reconditioning process. We provide a Vehicle History Report and you get a 12-Month/12,000-Mile Comprehensive (bumper to bumper type) Warranty from date of purchase and a 7-Years/100,000-Mile Powertrain Warranty from date of purchase as new plus 1 Year of Roadside Assistance. Certified. Toyota Details: * Vehicle History * Transferable Warranty * Warranty Deductible: $50 * Powertrain Limited Warranty: 84 Month/100,000 Mile (whichever comes first) from original in-service date * Roadside Assistance * Limited Comprehensive Warranty: 12 Month/12,000 Mile (whichever comes first) from certified purchase date. Roadside Assistance for 1 Year (for Toyota Certified Used Vehicles program), Limited Comprehensive Warranty: 12 Month/12,000 Mile (whichever comes first) from certified purchase date. Battery 8 years/100,000 miles (whichever comes first) from original in-service date. Roadside Assistance for 1 Year (for Toyota Certified Used Hybrids program) * 160 Point Inspection (for Toyota Certified Used Vehicles program), 174 Point Inspection (for Toyota Certified Used Hybrids program) Cloth. Toyota Certified = 7/100K Warranty! Want a NO HAGGLE & STRESS FREE Shopping experience. Contact our Used Car Internet Managers via the inquiry form or give us a call! 1 Year Maintenance Included! We performed a 160-Point Inspection as part of our extensive Reconditioning process. We provide a Vehicle History Report and you get a 12-Month/12,000-Mile Comprehensive (bumper to bumper type) Warranty from date of purchase and a 7-Years/100,000-Mile Powertrain Warranty from date of purchase as new plus 1 Year of Roadside Assistance. Cloth. Toyota Certified = 7/100K Warranty! Want a NO HAGGLE & STRESS FREE Shopping experience. Contact our Used Car Internet Managers via the inquiry form or give us a call! 1 Year Maintenance Included! We performed a 160-Point Inspection as part of our extensive Reconditioning process. We provide a Vehicle History Report and you get a 12-Month/12,000-Mile Comprehensive (bumper to bumper type) Warranty from date of purchase and a 7-Years/100,000-Mile Powertrain Warranty from date of purchase as new plus 1 Year of Roadside Assistance. Toyota Certified = 7/100K Warranty! Want a NO HAGGLE & STRESS FREE Shopping experience. Contact our Used Car Internet Managers via the inquiry form or give us a call! 1 Year Maintenance Included! We performed a 160-Point Inspection as part of our extensive Reconditioning process. We provide a Vehicle History Report and you get a 12-Month/12,000-Mile Comprehensive (bumper to bumper type) Warranty from date of purchase and a 7-Years/100,000-Mile Powertrain Warranty from date of purchase as new plus 1 Year of Roadside Assistance. Certified. 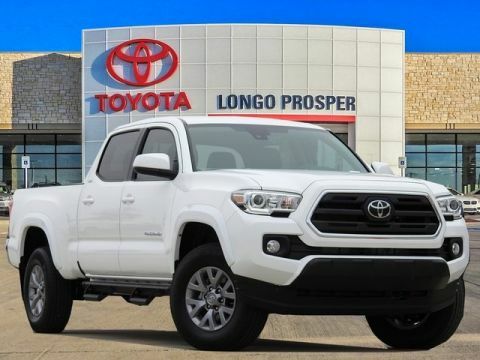 Toyota Details: * Limited Comprehensive Warranty: 12 Month/12,000 Mile (whichever comes first) from certified purchase date. Roadside Assistance for 1 Year (for Toyota Certified Used Vehicles program), Limited Comprehensive Warranty: 12 Month/12,000 Mile (whichever comes first) from certified purchase date. Battery 8 years/100,000 miles (whichever comes first) from original in-service date. Roadside Assistance for 1 Year (for Toyota Certified Used Hybrids program) * Vehicle History * 160 Point Inspection (for Toyota Certified Used Vehicles program), 174 Point Inspection (for Toyota Certified Used Hybrids program) * Warranty Deductible: $50 * Transferable Warranty * Roadside Assistance * Powertrain Limited Warranty: 84 Month/100,000 Mile (whichever comes first) from original in-service date AWD. Toyota Certified = 7/100K Warranty! Want a NO HAGGLE & STRESS FREE Shopping experience. Contact our Used Car Internet Managers via the inquiry form or give us a call! 1 Year Maintenance Included! We performed a 160-Point Inspection as part of our extensive Reconditioning process. We provide a Vehicle History Report and you get a 12-Month/12,000-Mile Comprehensive (bumper to bumper type) Warranty from date of purchase and a 7-Years/100,000-Mile Powertrain Warranty from date of purchase as new plus 1 Year of Roadside Assistance. Certified. Toyota Details: * Vehicle History * Transferable Warranty * Powertrain Limited Warranty: 84 Month/100,000 Mile (whichever comes first) from original in-service date * Warranty Deductible: $50 * Roadside Assistance * 160 Point Inspection (for Toyota Certified Used Vehicles program), 174 Point Inspection (for Toyota Certified Used Hybrids program) * Limited Comprehensive Warranty: 12 Month/12,000 Mile (whichever comes first) from certified purchase date. Roadside Assistance for 1 Year (for Toyota Certified Used Vehicles program), Limited Comprehensive Warranty: 12 Month/12,000 Mile (whichever comes first) from certified purchase date. Battery 8 years/100,000 miles (whichever comes first) from original in-service date. Roadside Assistance for 1 Year (for Toyota Certified Used Hybrids program) Cloth. 3.9% APR available! Toyota Certified = 7/100K Warranty! Want a NO HAGGLE & STRESS FREE Shopping experience. Contact our Used Car Internet Managers via the inquiry form or give us a call! 1 Year Maintenance Included! We performed a 160-Point Inspection as part of our extensive Reconditioning process. We provide a Vehicle History Report and you get a 12-Month/12,000-Mile Comprehensive (bumper to bumper type) Warranty from date of purchase and a 7-Years/100,000-Mile Powertrain Warranty from date of purchase as new plus 1 Year of Roadside Assistance. Certified. Toyota Details: * Powertrain Limited Warranty: 84 Month/100,000 Mile (whichever comes first) from original in-service date * 160 Point Inspection (for Toyota Certified Used Vehicles program), 174 Point Inspection (for Toyota Certified Used Hybrids program) * Roadside Assistance * Warranty Deductible: $50 * Limited Comprehensive Warranty: 12 Month/12,000 Mile (whichever comes first) from certified purchase date. Roadside Assistance for 1 Year (for Toyota Certified Used Vehicles program), Limited Comprehensive Warranty: 12 Month/12,000 Mile (whichever comes first) from certified purchase date. Battery 8 years/100,000 miles (whichever comes first) from original in-service date. Roadside Assistance for 1 Year (for Toyota Certified Used Hybrids program) * Vehicle History * Transferable Warranty Cloth. Toyota Certified = 7/100K Warranty! Want a NO HAGGLE & STRESS FREE Shopping experience. Contact our Used Car Internet Managers via the inquiry form or give us a call! 1 Year Maintenance Included! We performed a 160-Point Inspection as part of our extensive Reconditioning process. We provide a Vehicle History Report and you get a 12-Month/12,000-Mile Comprehensive (bumper to bumper type) Warranty from date of purchase and a 7-Years/100,000-Mile Powertrain Warranty from date of purchase as new plus 1 Year of Roadside Assistance. AWD, Cloth. Toyota Certified = 7/100K Warranty! Want a NO HAGGLE & STRESS FREE Shopping experience. Contact our Used Car Internet Managers via the inquiry form or give us a call! 1 Year Maintenance Included! We performed a 160-Point Inspection as part of our extensive Reconditioning process. We provide a Vehicle History Report and you get a 12-Month/12,000-Mile Comprehensive (bumper to bumper type) Warranty from date of purchase and a 7-Years/100,000-Mile Powertrain Warranty from date of purchase as new plus 1 Year of Roadside Assistance. Certified. 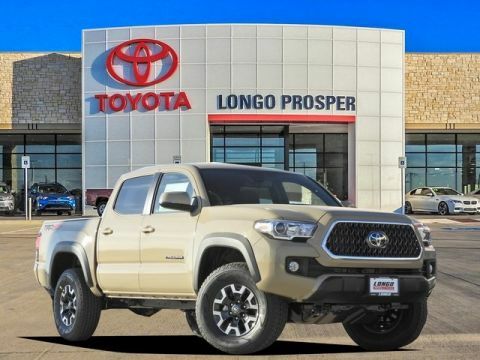 Toyota Details: * Vehicle History * Powertrain Limited Warranty: 84 Month/100,000 Mile (whichever comes first) from original in-service date * Warranty Deductible: $50 * Limited Comprehensive Warranty: 12 Month/12,000 Mile (whichever comes first) from certified purchase date. Roadside Assistance for 1 Year (for Toyota Certified Used Vehicles program), Limited Comprehensive Warranty: 12 Month/12,000 Mile (whichever comes first) from certified purchase date. Battery 8 years/100,000 miles (whichever comes first) from original in-service date. Roadside Assistance for 1 Year (for Toyota Certified Used Hybrids program) * Transferable Warranty * Roadside Assistance * 160 Point Inspection (for Toyota Certified Used Vehicles program), 174 Point Inspection (for Toyota Certified Used Hybrids program) AWD, Cloth. 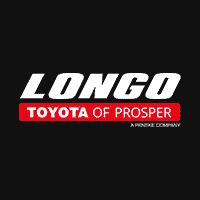 The team at Longo Toyota of Prosper wants you to feel confident in your purchase, which is why we’re here to answer all your questions and help you see why you should buy a CPO model. After exploring our inventory, schedule a test drive to experience these exciting models in person! 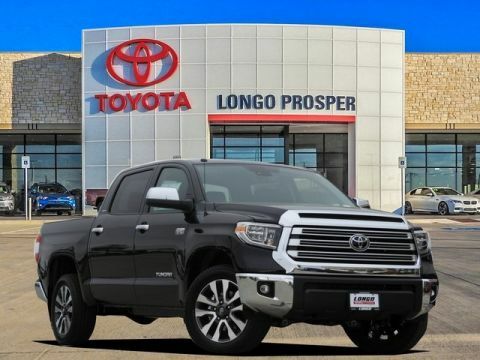 Many savvy shoppers choose Certified Pre-Owned Toyota when looking for a car, because these vehicles offer all the perks of a new Toyota model at a much lower price. In order to earn the distinction of Certified Pre-Owned, vehicles must go through an exhaustive, multi-point inspection process, meaning you’ll drive away in a car that’s safe, solid, and best of all, affordable. 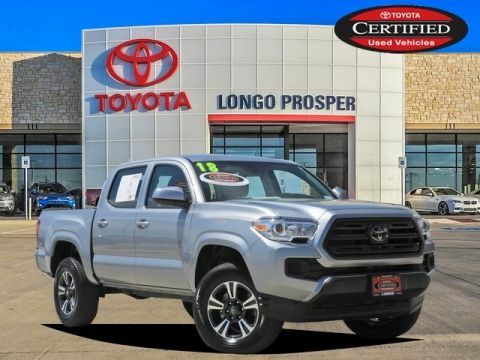 Browse our current inventory below, and see why Certified Pre-Owned is a great investment.